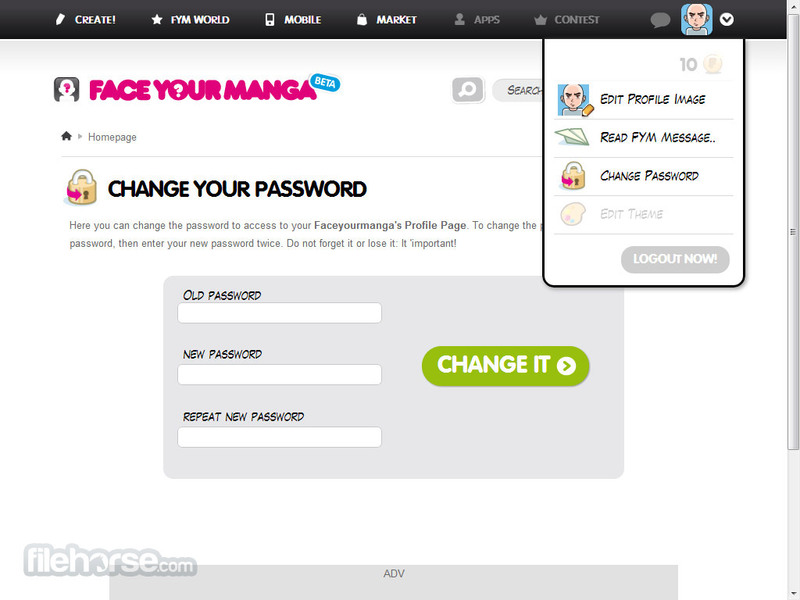 FaceYourManga is an innovative image editing web service that enables you to easily create and manage avatar pictures. 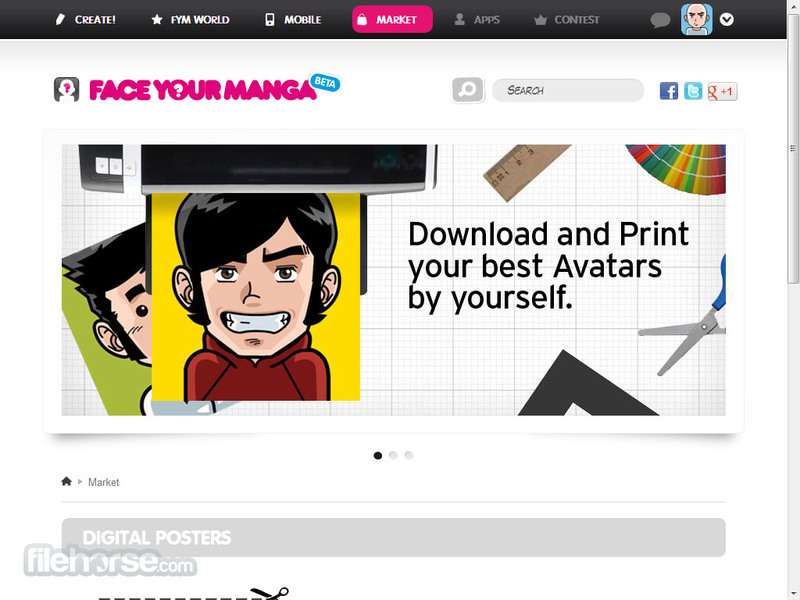 With the help of FaceYourManga, your presence on online discussion forums and social networks will become much more fun than before. FaceYourManga enables you not only to edit facial features, but you can also modify hair, clothes, tattoos, accessories, avatar backgrounds, and even makeup. With such powerful editing tools you will be able not only to create virtual copy of yourself, but also replicate look of celebrities or create fun new random avatars. If you really want to customize your creation, you can even add logos, patterns, weather backgrounds and texts. Create your own funny avatar today! After you have finished work on your great looking avatar, you can take 180x180 pixel version and use it however you want. Alternatively, FaceYourManga can offer you high quality version of the image if you are willing to buy it. 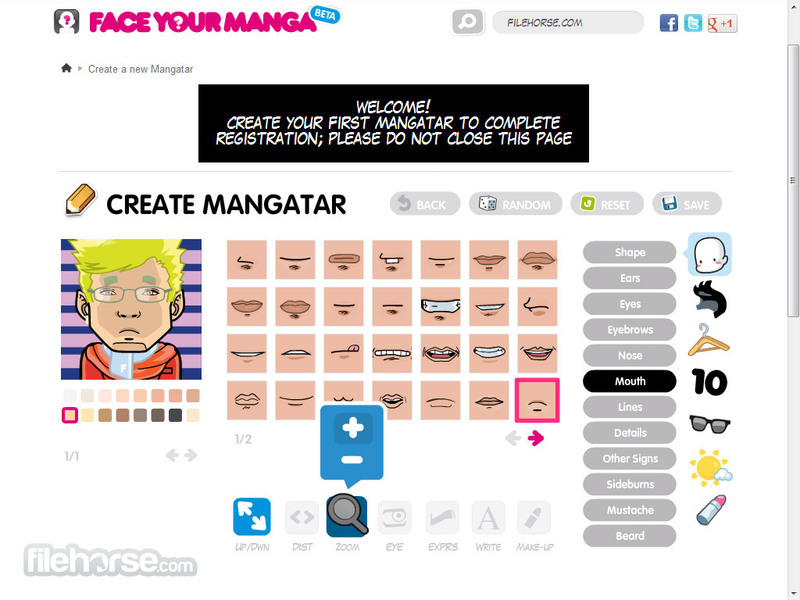 FaceYourManga is an innovative free visual editor that allows anyone to very quickly create vectorized online avatars that they can use anywhere they want – from blogs, discussion boards, chat clients, various websites and of course social networks. To give everyone chance to create avatar that perfectly suit their face or their needs, editor of Face Your Manga enables easy access to tools that can provide millions and millions of combinations of facial features, clothing, backgrounds and more. 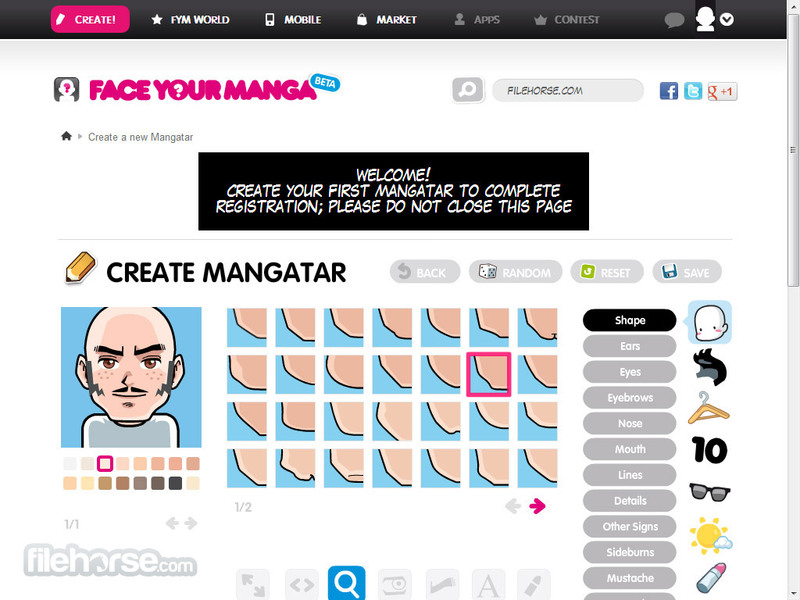 Mangatars (name that this site uses for avatars) can be created either from scratch, or by viewing large catalogue of recently created or popular avatars, taken from the library of over 11 million creation that were made by users from all around the world. To make the process of collecting beautiful avatars even better, each user who chooses to register an account can create their own list of favorite creations, with permanent record of what avatars he has created. Community options include only viewing of profiles, direct communication tools are not present. Editor is very well organized. It will start by offering your to choose between male and female gender, and then throw you into dashboard that showcases current preview of your avatar, main category listing (Face, Hair, Clothes, Stickers, Accessories, Backgrounds and Fashion), up to 12 different sub-categories for each of them, and then hundreds and hundreds of individual objects and facial features that you can select. Facial expressions and exact positioning of everything can be easily customized until your avatar is polished to perfection. 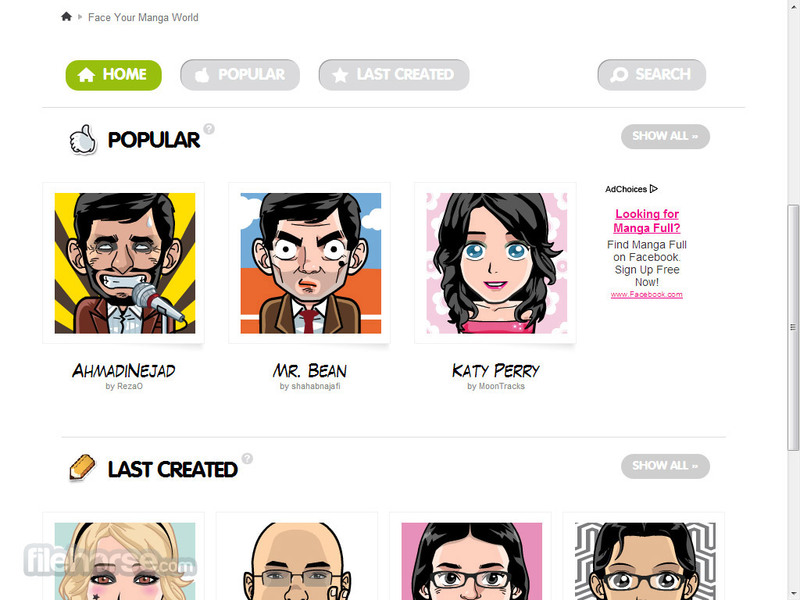 Create your own funny avatar today!